Big Brother Over The Top: Week 1 Eviction Prediction: Who Will be the First Evictee? We have had an interesting start to Big Brother Over the Top. America was granted the power to vote, nominate, punish, and help the Big Brother Over the Top players. Though some may still not know what to make of the format, it’s been exciting to see unfold on BBOTT. This week, we witnessed Monte Massongill stumble into power. It didn’t go well for him, because it turned America against him. It also backfired when two of his targets (seem) to have escaped eviction. Monte set his first target on Jason Roy. 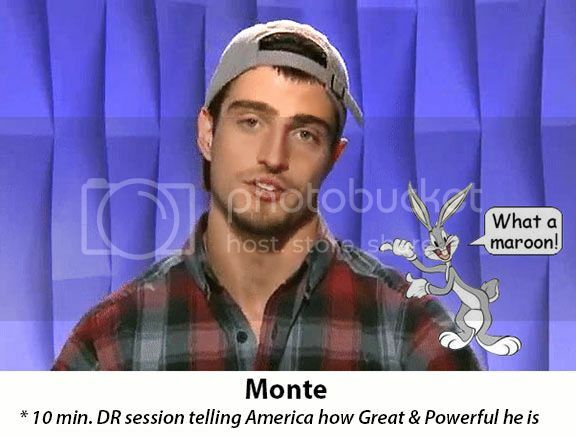 Jason crushed Monte’s get out a vet dreams when he won the Power of Veto. Monte then debated between Kryssie Ridolfi and Shelby Stockton as the replacement nominee. He wanted whoever went up as a replacement to go home. He eventually decided that keeping Shelby could benefit his game. He nominated Kryssie. It didn’t look good for Kryssie until Danielle Lickey (also nominated for eviction) campaigned to save Kryssie and evict America’s nominee Cornbread. She got a few other players on board, such as Neeley Jackson. They then worked, and managed to sway a few wavering votes towards evicting Cornbread. Yet again, Monte’s eviction choice escaped eviction. Tonight, we expect Cornbread to be evicted by an unanimous vote. The real fun starts with the head of household competition. Half the house wants Shelby out, while the other may aim to evict Jason, Danielle, Justin Duncan, or Kryssie. I am really surprised how easy it was to get out Cornbread. I think this Amerca’s vote twist will actually lead to a boring season. We need those BB villains in there for the drama. Yea, I’m not confident that the hgs’ can properly “interpret” what America says with its votes. I mean, America nominates CB, so the hgs think they’re okay to vote him out, when in reality Monte should have gotten the message (according to what I read everywhere) that America nominated one of his allies because it wasn’t happy with Monte…. And I do agree with Cat that the Jason contingent out there could massively influence this game if the rest of America divides its vote among other hgs. Yeah agree with everything you said. I actually like(d) Jason but I don’t like the idea of him getting cocky about winning just because America will vote in favor of him and his friends. Jason and his side are playing terrible at the moment. I don’t want to reward that, but I seem to be one of the few who see the game like this. This is one reason I didn’t like the idea of “us” having so much power. I already lost hope for this season.